Yesterday I reviewed the Peddies by Noble Outfitters (you can read the review here) and I announced that today I would publish a giveaway. 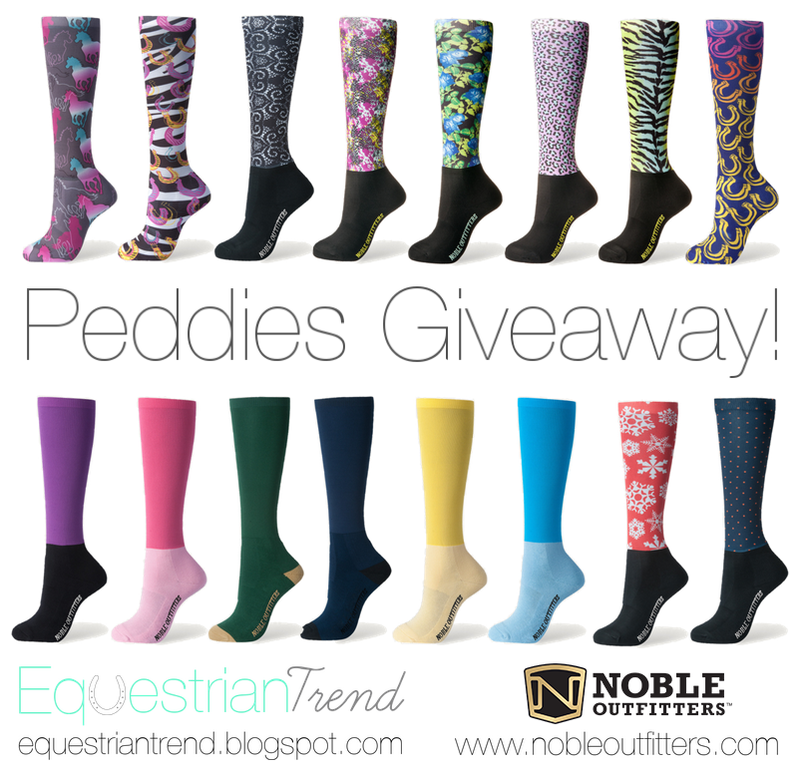 Here it is, Noble Outfitters is giving Equestrian Trend readers the opportunity to win two amazing pairs of Peddies! The winner will love them so much! The winner will receive two pairs of Peddies (one pair with solid colors and one pair printed). The prize is valued at $30! - Like Noble Outfitters on Facebook - here or follow them on Instagram - @nobleoutfitters. - Like Equestrian Trend on Facebook - here or follow the blog on Twitter - @equestriantrend - or on Instagram - @equestriantrendblog. - The winner will be announced here on the blog and their answer will be published on the blog. - Only one participation per person is allowed. I was already following both on Facebook, but had no idea that you were on Instagram! Yay for that! I am @JessTrogstad on Instagram, otherwise I am "Jessica Trogstad" / "TheGeorgiaHorse" on all other social media sites :) I've already emailed ya too! I know, thanks, I loved your email!